These flanges fit Trickflow high port heads only. 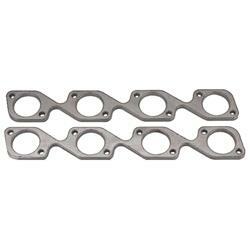 Trick Flow® header flanges will allow you to custom build your own set of headers to match your vehicle. They are designed to fit the Trick Flow® high-port and R-series cylinder heads for small block Ford engines.